Color Icon eyeshadow palette, MegaGlow Highlighting powder. ProLine Graphic Marker eyeliner, Photo Focus eyeshadow primer. Photo Focus setting spray, Max Fanatic Mascara, Megaslicks lipgloss. 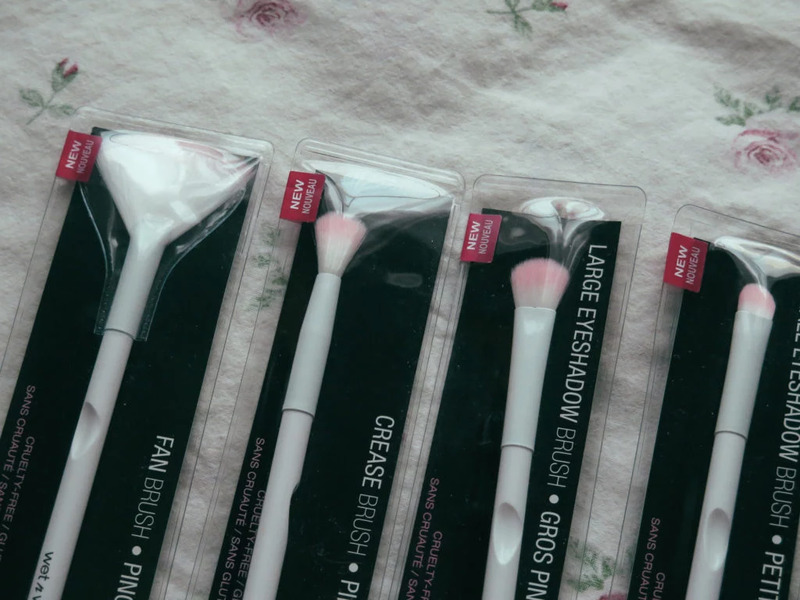 Fan Brush, Crease Brush, Large Eyeshadow Brush, Small Eyeshadow Brush. 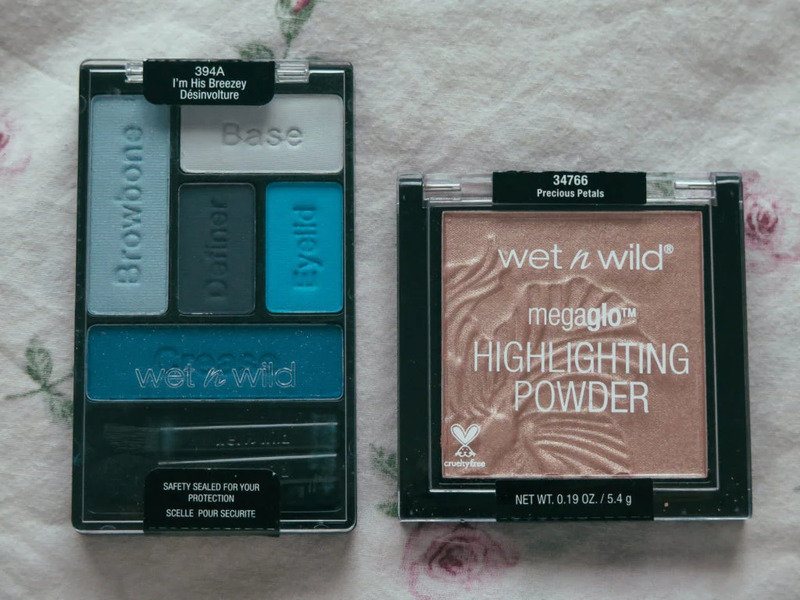 I got a very pleasant surprise today in the mail, a box from Wet N Wild Beauty. The top photo with all the products I received includes fixing spray, eyeliner, blue palette eyeshadow, highlighter, mascara, eyeshadow primer, lipgloss and five brushes. 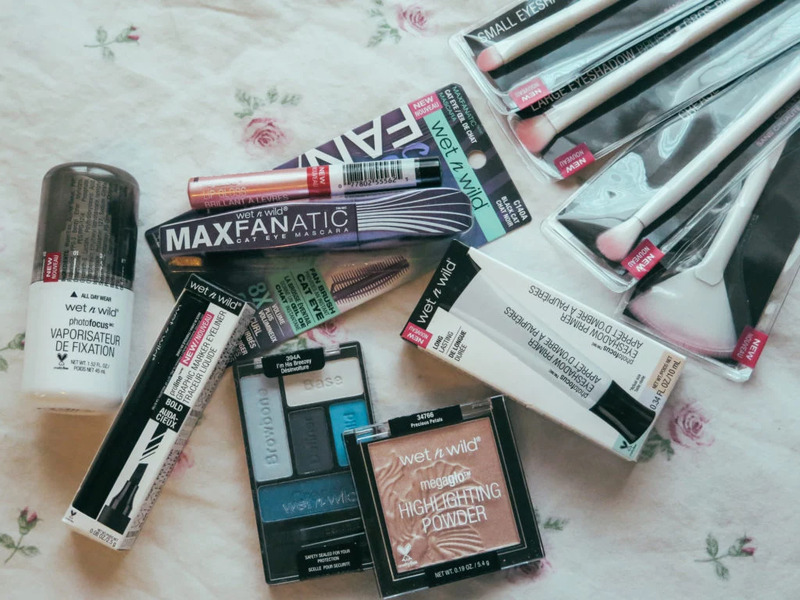 I look forward to try these products, they all are very useful and most of them can be used in the daily makeup routine. I think the setting spray will be very useful, feels like the make up is melting in this heat. 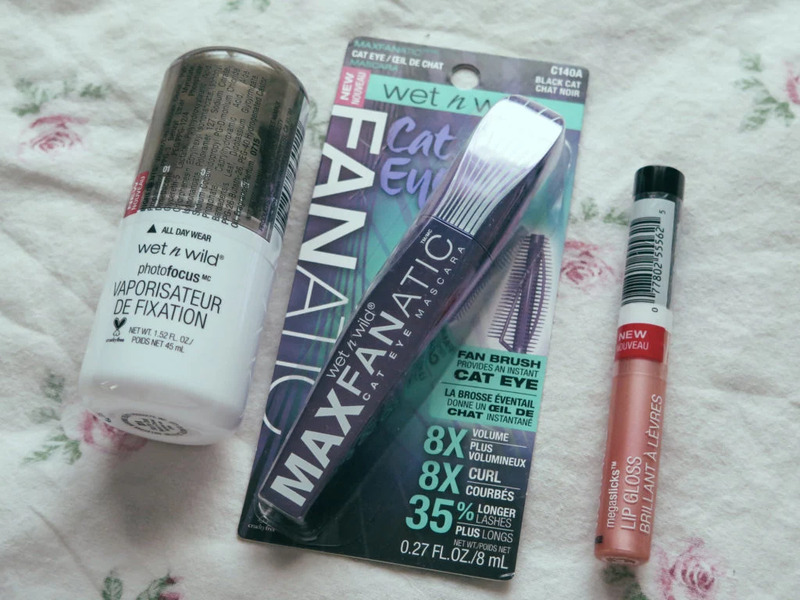 I'm also very curious about the mascara, I always have a hard time finding a good mascara that gives both volume and curls the lashes. 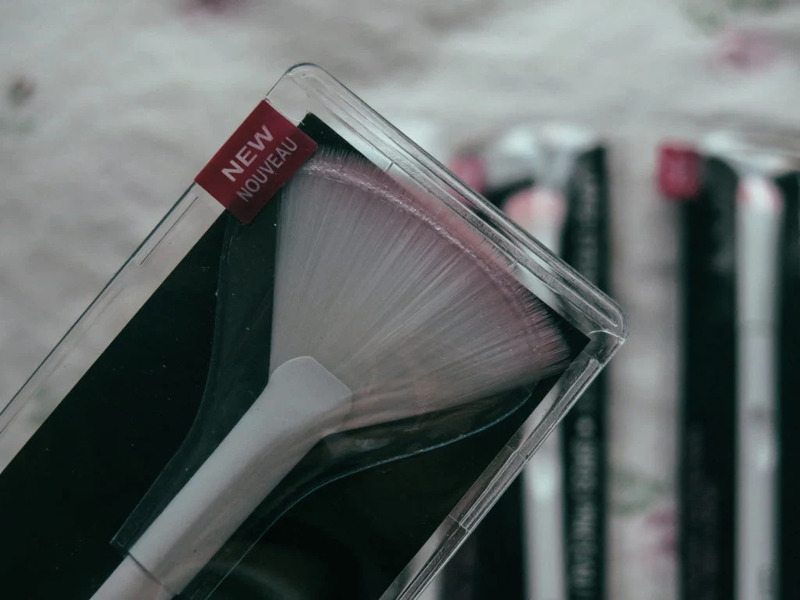 One thing I really like right away are the brushes, they are cruelty free, vegan and pretty. We need more products like that! 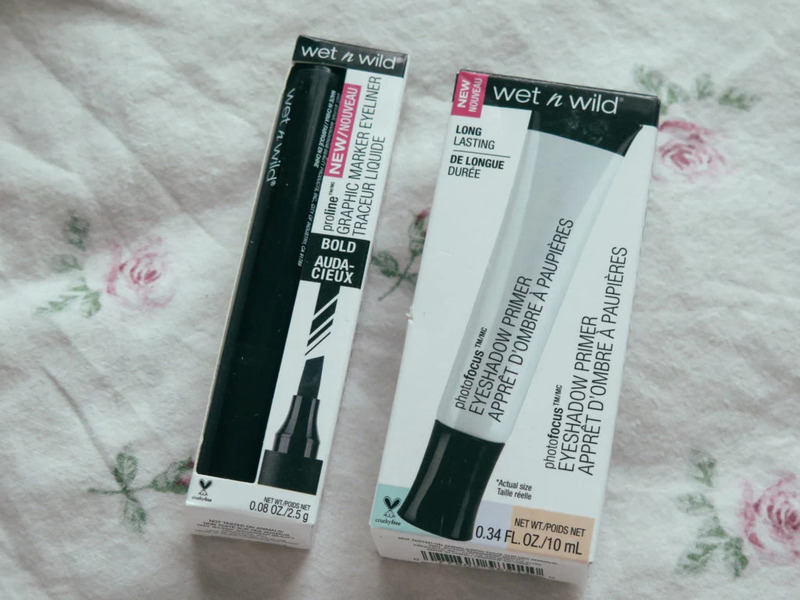 Thank you Wet N Wild Beauty for these products!